88% of Americans take out a mortgage to help them achieve their homeownership goals. Even though mortgages are incredibly common, they can be pretty confusing for everyone from first-time home buyers to seasoned homeowners. In this post, I’ll give you an overview of how mortgages work so you can jumpstart your home buying journey. Let’s start with the basics: a mortgage is a loan that helps you finance your home purchase. When you get a mortgage, you’re essentially making an agreement with your lender. The lender will give you the money you need to complete the home purchase, and in exchange, you will make monthly payments with interest until you pay off the mortgage or sell the home. Your new home is the collateral for this loan. With a fixed-rate mortgage, your interest rate will stay the same for the life of your loan. On the flip side, with an adjustable-rate mortgage (ARM), your interest rate will be lower for an initial period, and then it will adjust (typically increasing) each year based on the market. Your ARM will have a cap on exactly how much your rate can increase, so you’ll have an idea of what your future mortgage payments could look like. A fixed-rate loan may be a good fit if you’re planning to stay in your new home for the long run since you’ll have a constant interest rate for the life of the loan. However, if you’re confident that you’ll be moving within 5-10 years, an ARM could help you save thousands in interest if you sell before the initial rate period ends. For fixed-rate mortgages, your term will determine the period of time you’ll have to pay off your mortgage. The most popular fixed-rate terms are 15 or 30 years. A shorter term means you’re paying off your mortgage faster, so your monthly payments will be larger, but you’ll likely save on interest payments. ARMs are typically 30 years long, but you’ll need to pick the term of your initial fixed rate period – the most common ones are 3, 5, 7, or 10 years. Again, your decision should factor in how long you plan on staying in your home. A mortgage is considered conforming if the loan balance is below the local limits set by the federal government. A mortgage above this limit is viewed as a jumbo loan, so it may have specific requirements and higher interest rates. If you’re in jumbo loan territory, talk to your lender to ensure you meet the criteria. Otherwise, you may need to adjust your house hunting budget. This one is probably not a surprise. A down payment is the upfront investment you’ll make in your new home. The minimum down payment you’ll need to make will depend on your home buying scenario and your lender’s requirements. 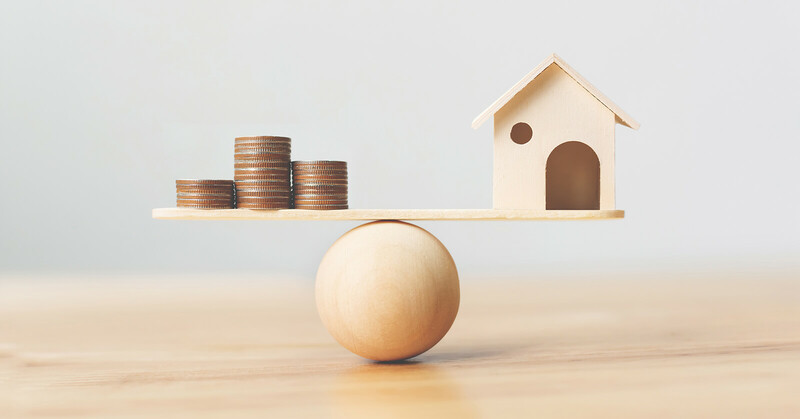 You might have heard that a 20% down payment is the gold standard, but for people with strong credit and a steady income, a down loan payment as low as 3-5% may be a smart financial option. Your principal refers to your original loan amount (i.e., how much you borrowed from your lender), while your interest is the amount your lender charges you to borrow from them. In the early years of your mortgage, the bulk of your monthly payment will go towards paying off the loan’s interest. As time goes on, your mortgage payments will gradually move away from paying interest and go towards paying down the principal. You’ll also be responsible for paying real estate or property taxes to your local government. What you pay depends on local tax rates and the assessed value of your home. Lastly, your monthly mortgage payment will also need to cover homeowners insurance which most lenders require to protect the house. If you make a down payment below 20%, they may also expect you to pay for private mortgage insurance or PMI. Want to see how your mortgage numbers add up? While an online affordability calculator can give you a quick sense of your budget, a mortgage pre-approval from a lender will help you get a more precise number. At Perch Realty, our Local Market Experts can help connect you with a trusted lender. To learn more, send us a note at support@perch.com. Your lender will use your tax documents to understand your various sources of income so they can calculate how much of that income can be used for your mortgage. They’ll also be looking to see that your income is stable and likely to continue into the future. Your DTI helps lenders understand how much you can afford to pay for a mortgage each month given your existing monthly debt payments. The maximum DTI allowed can vary, but you’re typically good to go with a DTI below 35 percent. To calculate your DTI, add up your monthly debt once you have your new home (e.g., any monthly payments for student loans, car loans, credit card bills, etc. plus your future mortgage payment) and divide it by your gross monthly income (i.e., how much money you earn before taxes). Your credit score gives your lender an idea of your previous borrowing history. You’ll need to meet a minimum credit score requirement to qualify for your mortgage. That being said, a higher credit score is usually better since it can help you qualify for lower mortgage rates. Need some help starting your home buying journey? From mortgages to house hunting, our Local Market Experts can help you navigate the process with confidence. To learn more, send us a note at support@perch.com to learn more.